Hump day! We're half way there. So glad my daughter's room is finally finished. I love the gray walls with pops of color throughout. Her desk is one of the areas she uses the most. She likes to sit there and do legos or draw. She tends to collect a lot of paper so I wanted a tray to corral all of it. I made a simple acrylic tray in my office so it was a no-brainer to make one for her too. 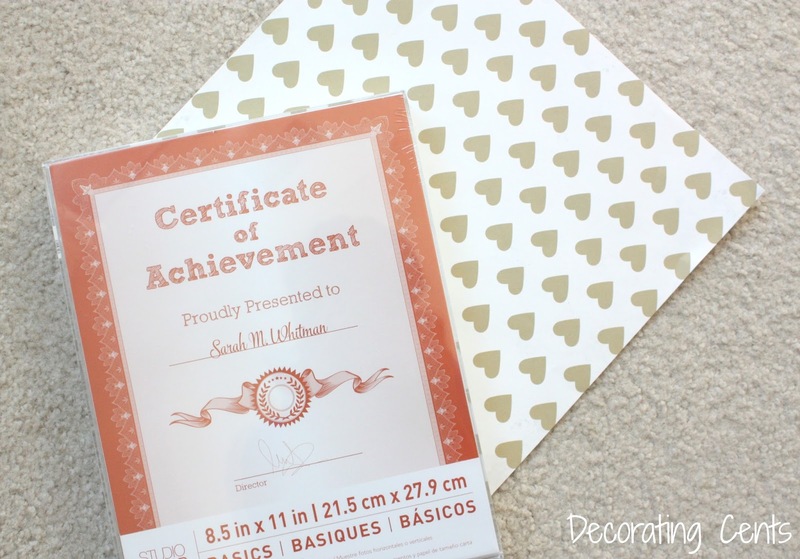 I bought a plastic frame from Michael's and some pretty scrapbook paper. Cut the paper to size to fit into the frame. Boom! Done! So simple but so cute! Here it is on the corner of her desk. I love how it's not bulky and since it's clear, you can still see the desk. It doesn't always stay as clean as I'd like it, but it works. 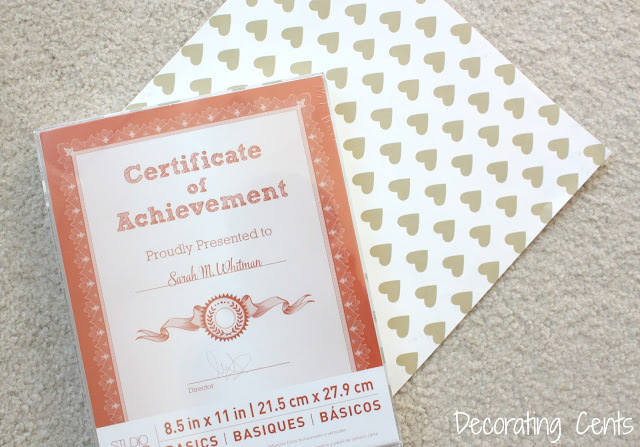 What's the easiest project you've tackled lately? In case you missed it, the room reveal is here. 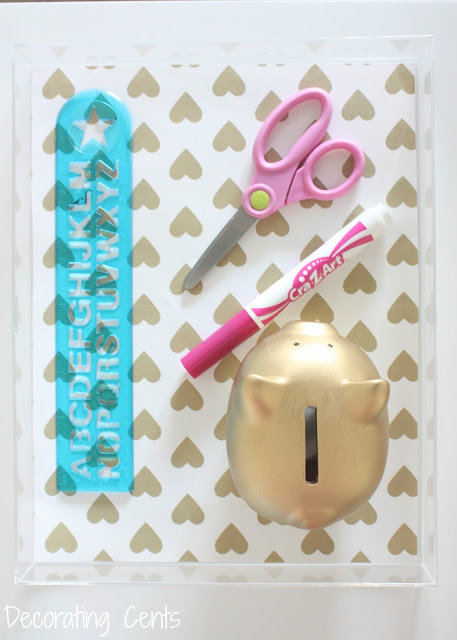 You're reading DIY Acrylic Tray by Andrea, originally posted on Decorating Cents. If you've enjoyed this post, be sure to follow Andrea on Facebook, Pinterest, Bloglovin, Instagram, and Hometalk. Happy Spring Andrea! 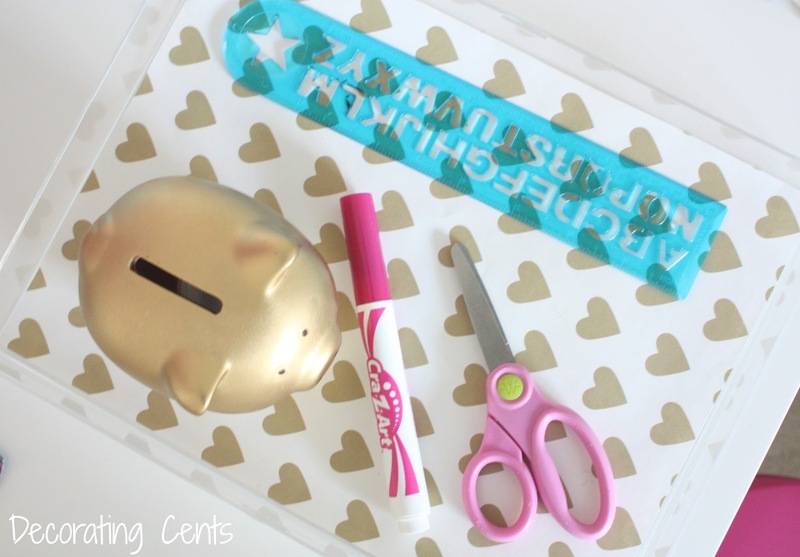 I love this DIY -it's simple and practical but can add a touch of fun and color to your decor. 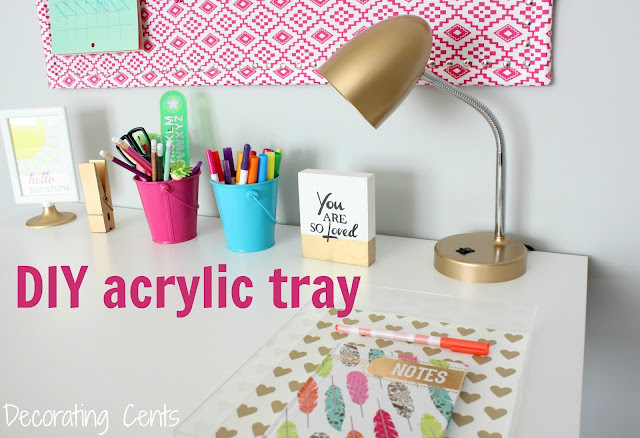 And I bet it can be applied to a variety of acrylic accessories.